Han Bouwmeester Nature Photography - Enjoy Wildlife! Han Bouwmeester (Goor, The Netherlands, 1965) was raised in a family in which being outdoors played an important role. From childhood on he went off exploring with granddad, father and brother; and during his schooldays he was more fascinated with what was happening outside rather than inside the classroom. The real Han belonged out in the open air. Han had a serious accident in 1998 and consequently lost his job as a commercial-technical product specialist at a big building materials company, and while recovering he developed his interest in nature photography. Although Han has produced some nature films before 1998, the medium of nature photography was a new option for him to express his desire to share with others what he sees and perceives in nature and to propagate nature’s beauty. Thanks to Arie Pool for manipulating this picture. Han is truly a self-made nature photographer: he has no formal training in photography and never attended any photography courses. He soon started winning several national and international awards, but his real break-through came with a picture of a rare black grouse that won him the 2007 prestigious Grasduinen nature photography award, in the professional category. Demand for his photographs went up with leaps and bounds after that which resulted in several publications in home country and abroad. 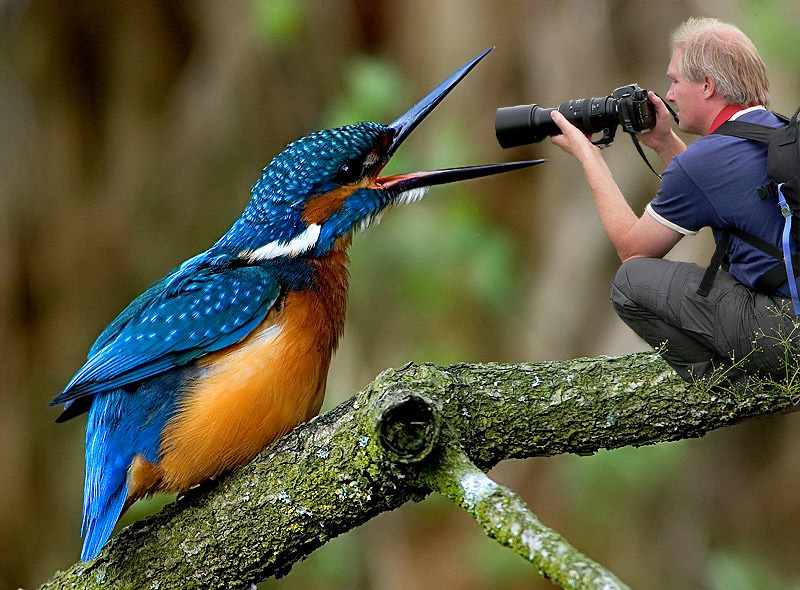 Partly because of these successes Han decided, at the beginning of 2007, to turn his hobby into a full time job and to continue his life’s journey as a professional nature photographer. His photographs are now being used for magazines, newspapers, news media, postcards, exhibitions, office decoration, and logo’s on cars and sold worldwide. He also started venturing into other areas like the organizing of nature photography trips and writing some articles that are well written with great interest in the world of nature photographers. Beside this all Han is designing handy products for nature photographers which are now very popular. Han has been using different equipment in his photographic work throughout the years. Since 2014 Han is Ambassador from Swarovski and Tele zooms for Sigma Benelux. Here Han in some Television programs. With his second company Wildpix Travel Han is organising and offering stunning phototrips together with his collegue Martin Steenhaut. Have a look on the Wildpix Travel website. 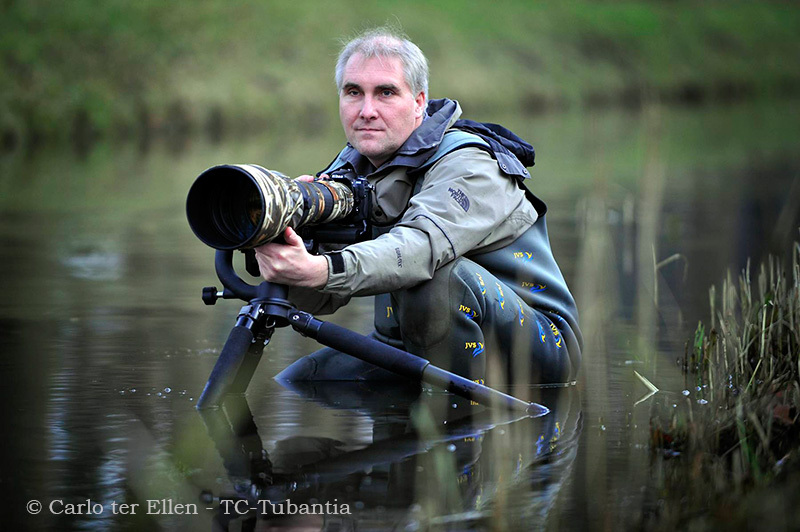 Han Bouwmeester is associated to the Natuurfotografen Verbond Nederland (NVN) (Dutch union of nature photographers) and the iLCP and therefore complies with their stipulated rules of behaviour. All nature photographs are being taken in a thoughtful and respectful manner towards nature. None of the photographs on this website should be used without written consent irrespective of intended use. Do you want to use or print the photographs? Please have a look at the shopping page on this site or contact, free of obligations, Han Bouwmeester directly. On this website you will find a selection of photographs. The data base has been specifically designed for clients like publishers and the like, but of course also other website visitors should feel free to enjoy browsing this site. Have a good time with your nature- webwalk though our site. Of course we’d love you to share your experience with us by writing your comments in the guestbook.